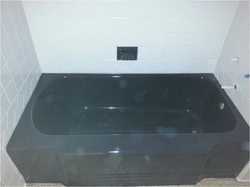 WE OFFER FLAWLESS BATHTUB, SHOWER, TILE, KITCHEN COUNTERTOP, SINK, VANITY CABINET, & KITCHEN CABINET REFINISHING SERVICES. Discover new Kitchen & Bath ideas! View recently completed projects. Find design ideas & more. Imagine the possibilities! We Offer Flawless Refinishing & Exceptional Service. BBB A+ Rating. Great Reputation. Licensed, Bonded, & Insured For Your Protection. View scans of hand written testimonials, from real clients! Flawless Refinishing, Reglazing, Resurfacing, Restoration, Repair, & Exceptional Service. Our Services: Bathtub Refinishing, Shower Refinishing, Tile Refinishing, Sink Refinishing, Vanity Top Refinishing, Touch Ups & Spot Repairs, Kitchen Countertop Refinishing, & Kitchen Cabinet Painting & Refinishing. Affton, MO, 63123, Alton, IL, 62002, Arnold, MO, 63010, Barnhart, MO, Ballwin, MO, 63011, Bella Villa, MO, Bellefontaine Neighbors, MO, 63137, Belleville, IL, 62226, Black Jack, MO, 63033, Brentwood, MO, Bridgeton, MO, 63044, Caseyville, IL, Collinsville, IL, Chesterfield, MO, 63017, Clarkson Valley, MO, Clayton, MO, 63105, Columbia, IL, 62236, Concord Village, MO, 63128, Crestwood, MO, 63126, Creve Coeur, MO, 63141, Downtown, Des Peres, MO, 63131, De Soto, MO, Edwardsville, IL, Ellisville, MO, 63011, Eureka, MO, Fairview, Heights, IL, 62208, Fenton, MO, 63026, Ferguson, MO, 63135, Florissant, MO, 63033, Frontenac, MO, 63131, Festus, MO, Glendale, MO, 63122, Green Park, MO, 63123, Grover, MO, 63040, Hazelwood, MO, 63042, High Ridge, Mo, Hillsboro, MO, Herculaneum, MO, House Springs, MO, Highland, IL, Imperial, MO, Kirkwood, MO, 63122, Lafayette Square, Lake St. Louis, MO, 63367, Ladue, MO, 63124, Manchester, MO, 63021, Maryland Heights, MO, 63043, Mildstadt, IL, 62260, Oakville, MO, 63129, Olivette, MO, 63132, Overland, MO, O’Fallon, MO, 63366, O’Fallon, IL, Pacific, MO, 63069, Pond, MO, 63038, Red Bud, IL, Richmond Heights, MO, Rock Hill, MO, 63144, Shrewsbury, MO, 63119, St. Alban, MO, 63038, St. Ann, MO, 63074, St. Charles, MO 63301, Soulard Area, MO, 63104, St. Peters, MO, 63376, Sunset Hills, MO, 63127, Swansea, IL, 62220, Town & Country, MO, 63017, Twin Oaks, MO, 63088, Troy, MO, Troy, IL, Union, MO, University City, MO, Valley Park, MO, Waterloo, IL, 62298, Warrenton, MO, Washington, MO, Webster Groves, MO, 63119, Weldon Springs, MO, 63304, Wentzville, MO, 63385, and Wildwood, MO, 63005. 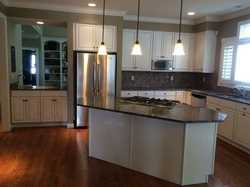 Why Should You Choose Bath & Kitchen Refinishing St. Louis? Were A rated on Angieslist. We have the best reputation in St. Louis. We take our time and do it right the first time. You’ll love the results, GUARANTEED!